During July 2018, 61 special music education and music therapy practitioners travelled to Salzburg, Austria for the 22nd ISME Commission on Special Music Education and Music Therapy. The Commission pre-conference seminar occurred over three days (July 12th-14th) and involved presentations, research posters, workshops and concerts by 56 presenters representing 14 countries. The theme of the Commission seminar was, Music Across the Lifespan: The Role of Special Music Education and Music Therapy. The conference was held at the University Mozarteum Salzburg and The Orff Institute in Salzburg, Austria. Presenters provided full papers, research posters, and workshops on topics related to music therapy approaches and special music education techniques with various age groups. 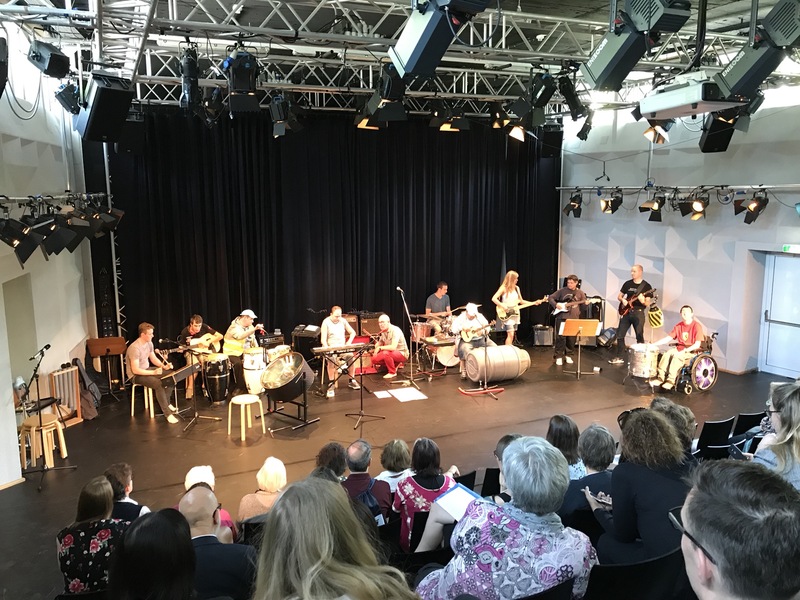 Additionally, there was an opening concert that featured Vollgas Connected, an inclusive band from Germany, and a closing concert that featured the Orff Institute inclusive band “Die kunterbunten 14er” (the mostly 14ers). There was also time for socialising during our group dinner at a traditional Austrian restaurant and an excursion on the Sound of Music Tour. Photographs of the event can be found on Shutterfly.